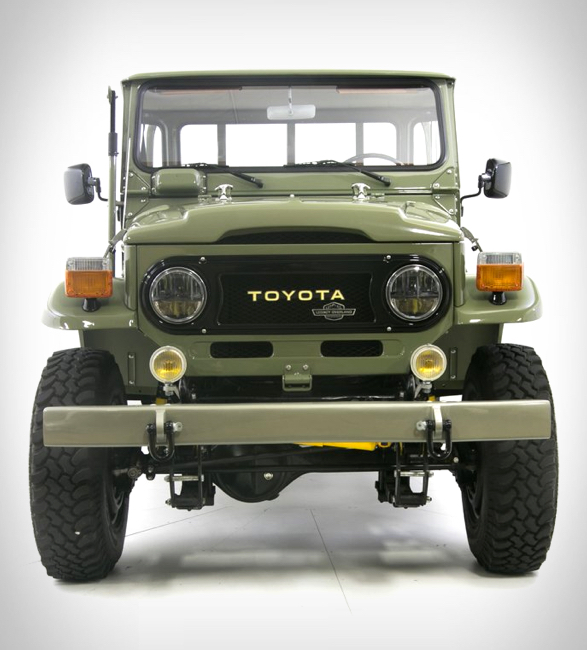 Known as one of the world’s most reliable exploration vehicles, the Toyota Land Cruiser is a utilitarian dream. 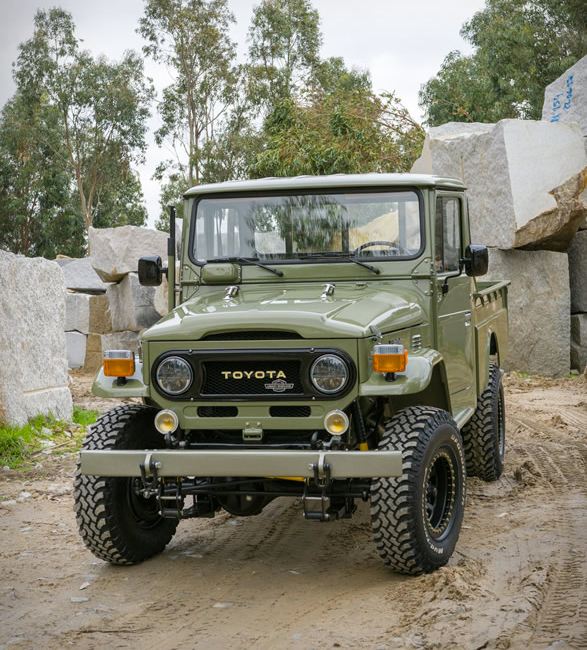 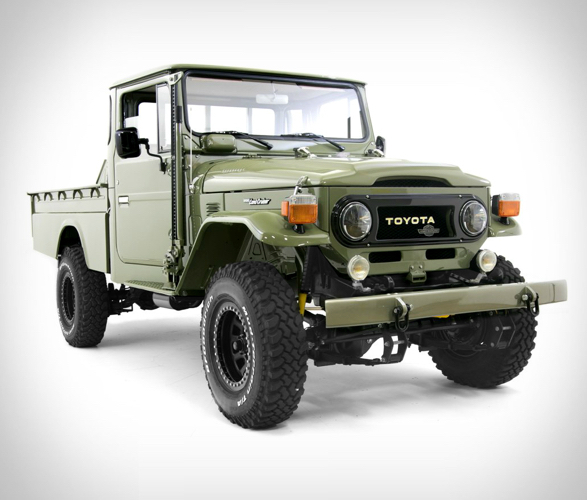 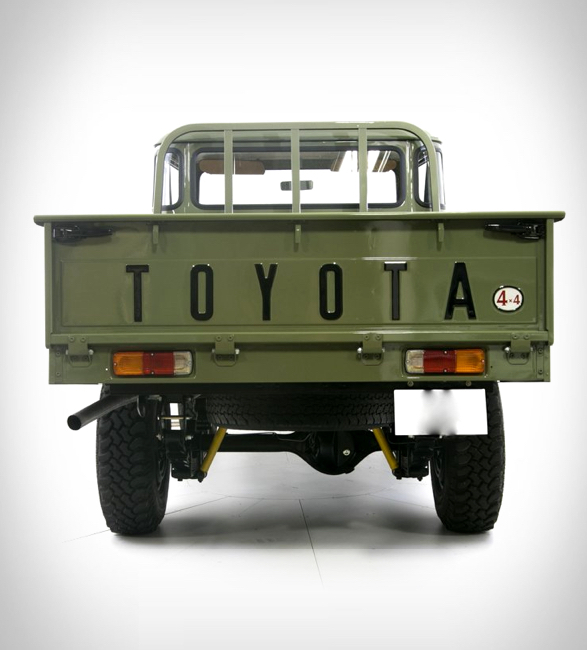 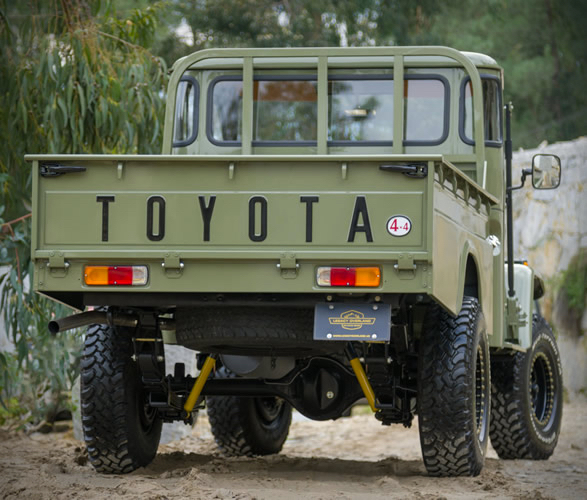 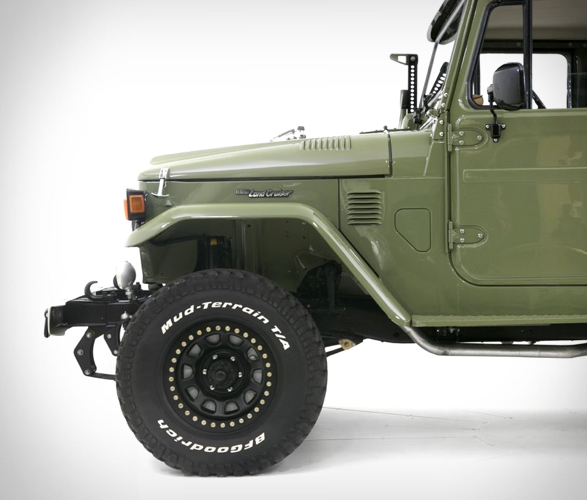 Here is a chance to own this vintage 4x4, a rare and highly desirable 1978 Toyota Land Cruiser HJ-45 Long Bed Pickup. 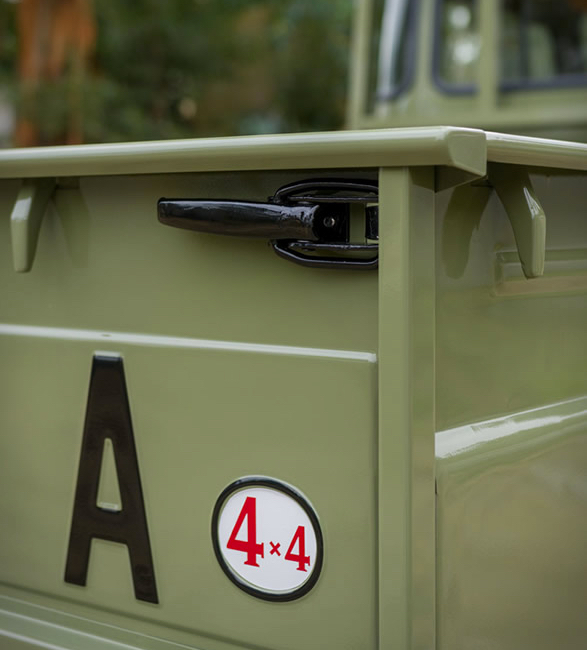 This exquisitely finished long-bed pickup truck has undergone a complete restoration, with all components media blasted and stripped to bare metal, and mechanicals thoroughly overhauled. 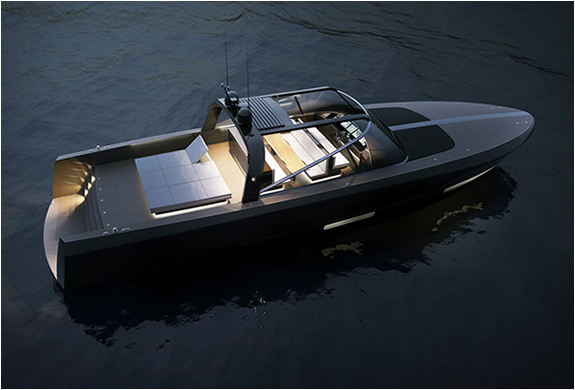 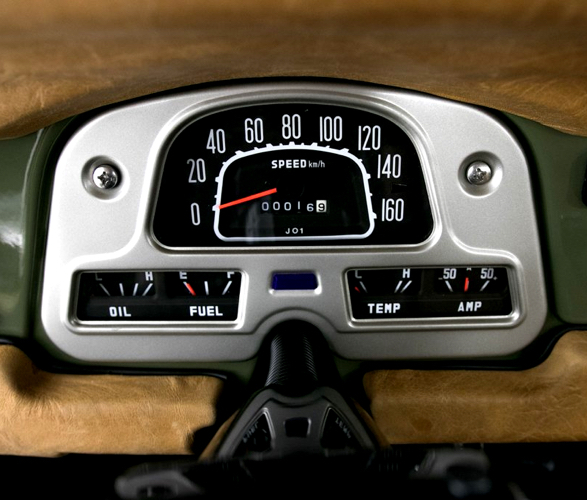 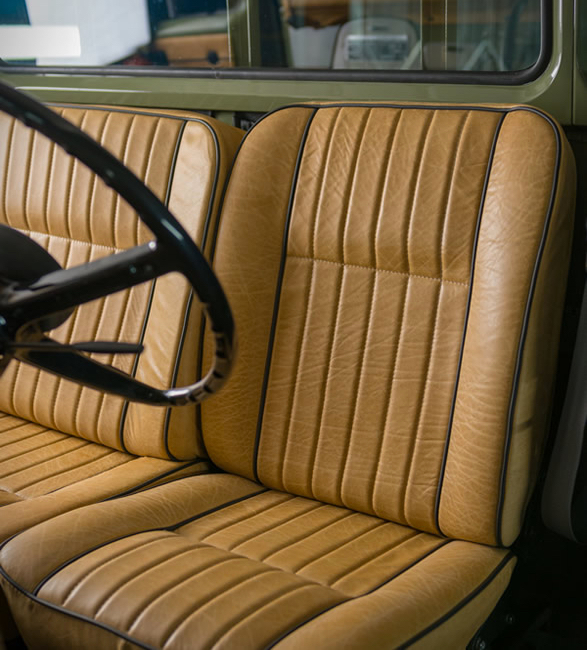 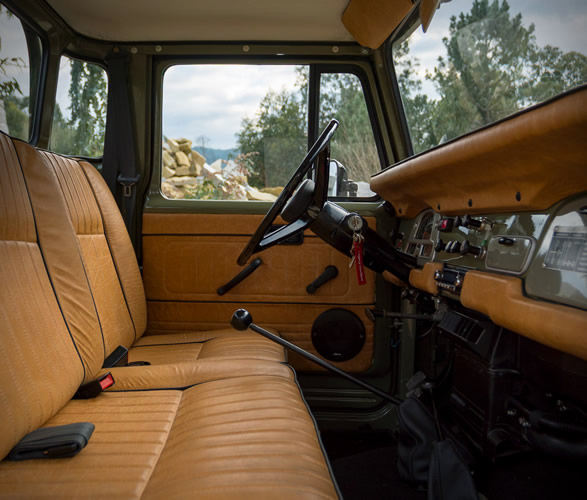 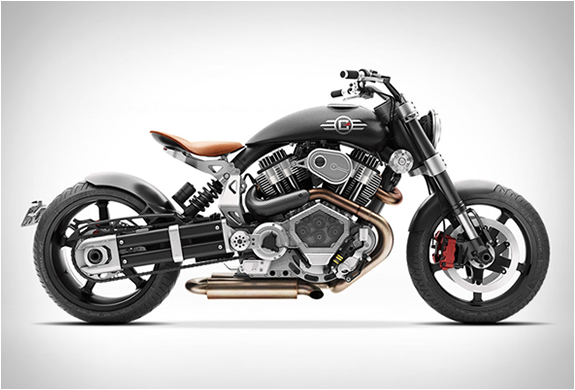 The interior has been generously apportioned with weathered, full-grain natural saddle leather with black piping, offering the true connoisseur a unique and high-grade experience. 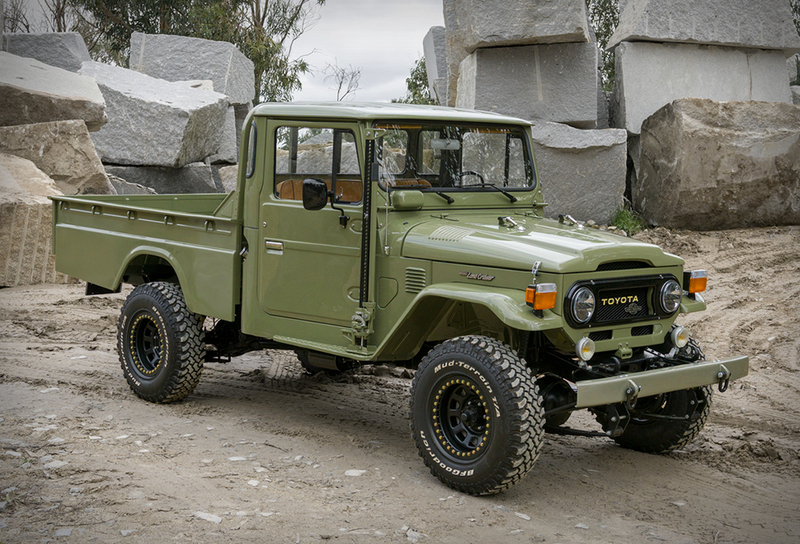 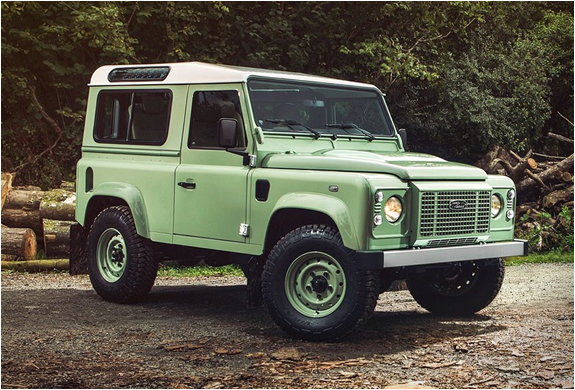 Adding to the classic vintage look, the truck has received some modern tweaks, such as LED headlights, a 2” lift to clear more terrain, aggressive beadlock wheels, and a Bluetooth-enabled sound system with four speakers.